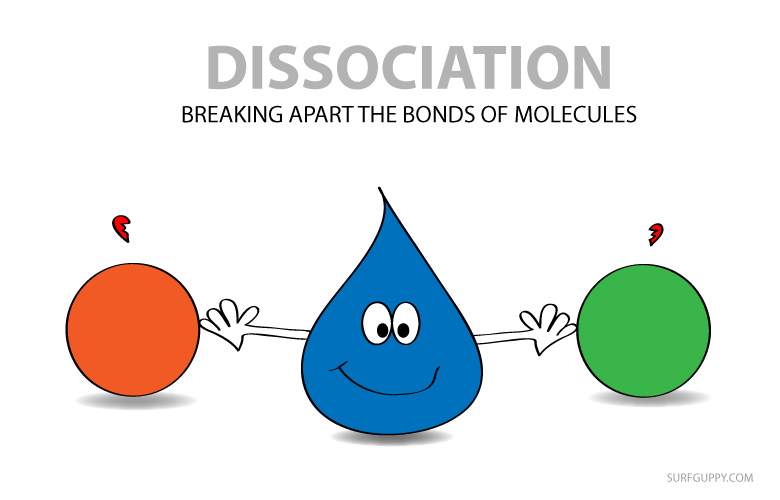 Dissociation is the breaking down of a compound into elements and the process is usually reversible. The word dissociate and disassociate have similar meaning – to remove from being connected. When a compound dissociates, the molecular bonds are broken. All ionic compound dissociate when they dissolve in water. Ionic compounds are those molecules that consist of atoms called ions with opposite charges. For more reading, please refer to sodium chloride dissociation in the process of solvation.